In a mountain hamlet on the Tennessee side of the Great Smoky Mountains, Blackberry Farm Brewery is putting the “farm” back in “farmhouse” with their focus on seasonality, local ingredients, hospitality, culinary cross-polination, and native culture. 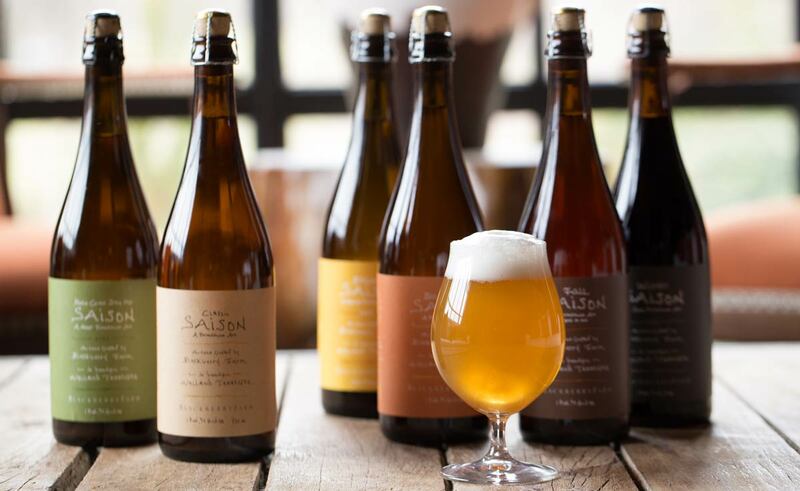 In 2016, Blackberry Farm’s Classic Saison took home a gold at World Beer Cup in the French and Belgian Saison category. This accolade, among a couple of other Great American Beer Festival medals for the farm brewery’s other beers, helped to put Blackberry Farm on the map. The brewery is just one feature of the Blackberry Farm resort in Tennessee’s Great Smoky Mountains that boasts award-winning chefs, a world-class wine cellar, luxurious spa treatments, paddle sports, fly fishing, horseback riding, archery…the list goes on. In essence, it’s a 4,200-acre paradise from which you won’t want to go home. Initially, the plan for the modest farm brewery was never to make more than three or four beer styles. So that’s what he did. He moved to Tennessee and helped to craft Blackberry Farm’s Classic Saison, named so to pay homage to the traditional beers of the Wallonia region of Belgium and to honor simplicity. 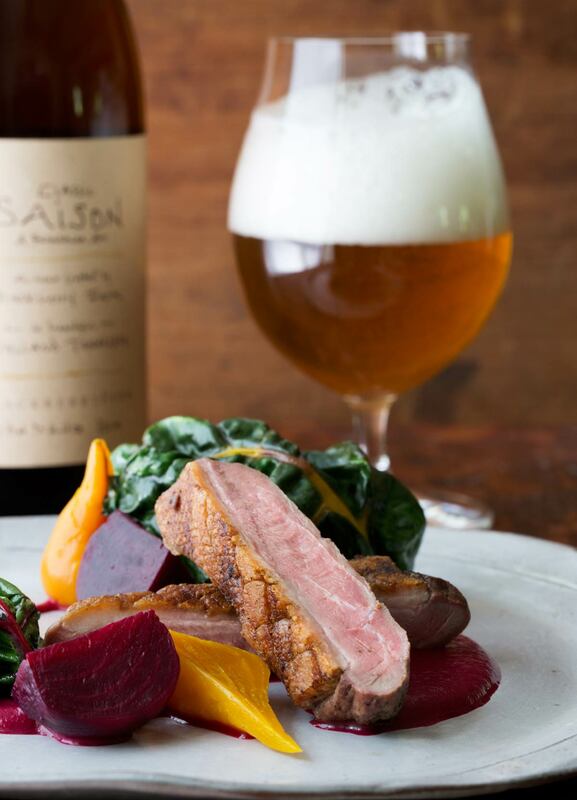 (Check out the homebrew-scaled recipe for Blackberry Farm’s Classic Saison!) “It’s basically a lager beer with different yeast,” he explains. Classic Saison is brewed with Czech Pilsner malt, Saaz hops, and White Labs WLP565 Belgian Saison yeast. “Many of our other beers are explorations of that saison yeast strain,” Heisler says of his Spring, Summer, Fall, and Winter Saison lineup. “That seasonal theme works perfectly for the farm,” he says. Spring is spiced with orange peel, coriander, and grains of paradise; Summer is hoppy with Australian Summer and Citra hops; Fall is brewed with spelt, rye, and oats; and Winter is black and rich, brewed with dark wheat and chocolate malt. The first experiments performed with these wild cultures were with fruit, and the results were surprising. “We made a blackberry rye, a roasted cherry dark ale, and a strawberry buckwheat ale as part of the Native Series,” says Heisler. “We found that fruit and these yeasts don’t play well together. They are super attenuative. The beers get to six percent ABV before I can even blink, and then there’s no sugar left,” he jokes. More experimentation with these cultures yielded success when Heisler made the beers “more yellow, more simple.” The Tennessee Cream Ale, for example, is brewed with flaked corn and heirloom grits. It’s a light, refreshing beer that’s bubbly, effervescent, and a deceiving 6.3 percent ABV. “I think we have a winner,” Heisler says. Meet other breakout brewers, find dozens of beer reviews, and get practical advice and tips for getting the most out of your brewing in every issue of Craft Beer & Brewing Magazine®. Subscribe today. On the eastern edge of the North Carolina’s Blue Ridge mountains, Fonta Flora Brewery is pursuing a vision of honest and creative beer made with locally sourced ingredients that reflect both the terroir, and the pioneering spirit, of their locale.